As the Eleventh Doctor and Amy embark on all-new adventures in time and space, "The TARDIS Handbook" gives you the inside scoop on 900 years of travel aboard the Doctor's famous time machine. Everything you need to know about the TARDIS is here - where it came from, where it's been, how it works, and how it has changed since we first encountered it in a London junkyard in 1963. 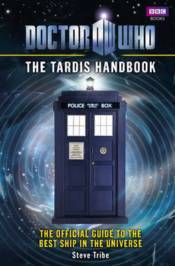 Including photos, design drawings, floor plans and instruction manuals from different eras of the series, this handbook explores the ship's endless interior, looking inside its wardrobe and bedrooms, its power rooms and sick bay, its corridors and cloisters, and revealing just how the show's production teams have created the dimensionally transcendental police box, inside and out. "The TARDIS Handbook" is the essential guide to the best ship in the universe.